Your guts are as individual as you are. 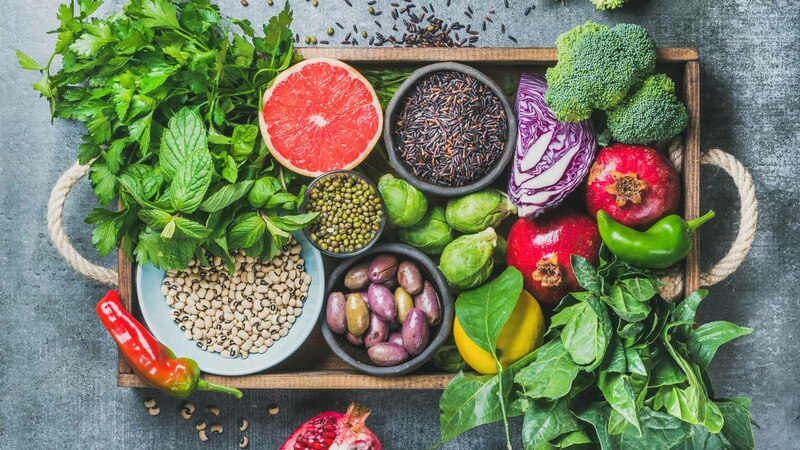 Dr Dorit Samocha-Bonet explains how new research at the Garvan Institute is exploring the possibilities of personalised nutrition for prediabetes. Why does one person’s blood sugar spike on half a banana, but another can eat ice cream until the cows come home with, apparently, no ill effects? It’s probably to do with the microbiome. Prediabetes – a condition in which your body begins to develop insulin resistance and struggles to control blood sugar – is a huge risk factor for a range of diseases, not just type 2 diabetes. It can lead to heart disease, stroke, kidney, liver and eye disease. Insulin resistance causes issues because it means high levels of sugar remain in the blood for too long, and this can cause damage to organs. Because obesity and prediabetes often go hand-in-hand, the first-line approach to treatment is to encourage weight loss through a low-fat, low-sugar diet and increased activity. There’s no doubt that weight loss and exercise bring multiple health benefits. Weight loss is a powerful tool to reduce insulin resistance and prevent diabetes in people with prediabetes. However, in our clinical research at Garvan we’ve started noticing something fascinating. In about a quarter of people who maintain a strict ‘healthy’ diet leading to weight loss, this does not change the body’s insulin resistance. And, unfortunately, almost 80% of people put the weight back on within five years.2 This means as a long-term approach, weight loss by itself isn’t the whole story in battling the prediabetes epidemic. To investigate this further, we’ve developed a clinical study with the Weizmann Institute in Israel, through the Garvan-Weizmann Centre for Cellular Genomics, to sequence the many genomes of an individual’s gut microbiome through a stool sample. This will guide an effective treatment for each individual, involving diet and medication. Participants in the six-month study will have the composition of their microbiome aligned with lifestyle data like diet, stress and activity, entered on a smartphone app. Information about their blood sugar levels will also be monitored through a tiny device that participants wear on their arm for periods of two weeks before, during and after the treatment. This will help us unravel why some people respond to common treatments and others don’t. So, already it’s evident that nutrition needs to be personalised to each individual. The very exciting part of this research is that we may be able to predict how people with prediabetes respond to common treatments based on the gut microbiome. When we better understand how the gut microbiome affects our response to food and medication, we will begin to be able to predict the treatment that will suit each individual. Going forward, our aim is to work with doctors to help them guide patients on the best medication, diet and lifestyle choices to help stop prediabetes from progressing to fullblown diabetes. And, this approach could then be used to assist those living with type 2 diabetes to gain more tools to manage their health and achieve better quality of life. For information on the study, contact the Garvan Institute of Medical Research. Brunkwall, L., and Orho-Melander, M. (2017). The gut microbiome as a target for prevention and treatment of hyperglycaemia in type 2 diabetes: from current human evidence to future possibilities. Diabetologia 60, 943-951. Leibel, R.L., Seeley, R.J., Darsow, T., Berg, E.G., Smith, S.R., and Ratner, R. (2015). Biologic Responses to Weight Loss and Weight Regain:Report From an American Diabetes Association Research Symposium. Diabetes 64, 2299-2309. Zeevi, D., Korem, T., Zmora, N., Israeli, D., Rothschild, D., Weinberger, A., Ben-Yacov, O., Lador, D., Avnit-Sagi, T., Lotan-Pompan, M., et al.(2015). Personalized Nutrition by Prediction of Glycemic Responses. Cell 163, 1079-1094. Dr Dorit Samocha-Bonet is an expert in nutrition, obesity and insulin resistance. She is a group leader and clinical researcher in the Diabetes and Metabolism Division at the Garvan Institute of Medical Research.